WHY STRIVING FOR A FAST METABOLISM SHOULD BE HIGH ON THE AGENDA. – More food can be eaten without weight gain. – Muscle gains are easier. – Mood is stable and happy. Simply taking temperatures at home can reveal a lot about thyroid gland functioning and the health of metabolism. US endocrinologist, Dr Ray Peat and Broda Barnes, author of Hypothyroidism: The Unsuspected Illness, have both recommended measuring body temperature before getting out of bed in the morning. The resting temperature reading is the best basis for diagnosing thyroid gland functioning. 1. Using an oral thermometer from a chemist, take temperatures first thing upon waking (before rising). Temperatures should be around 36.6 degrees C (97.8 – 98.6 degrees F). The lower the temperature readings, the greater the likelihood of reduced thyroid gland output. 2. Take temperatures half an hour after breakfast or lunch. The readings should rise to 37.2 degrees C(99F) half an hour after eating. Temperatures will increase with a healthy metabolism due to the positive metabolic stimulus of good nutrition, movement and daylight. The thyroid gland and metabolism is not working efficiently when the post meal temperatures remain the same or decrease after a meal when compared to waking temperatures. If temperatures are consistently OVER the optimal temperature this is an indication of being in a highly stressed state with excess adrenaline and cortisol. “Since food….especially carbohydrate and protein…..will increase blood sugar and T3 production, eating is “thermogenic,” and the oral (or eardrum) temperature is likely to rise after eating.” Dr Peat. PHD. Every degree Celsius that temperatures increase, a corresponding rate of increased metabolism at approximately 12-15% occurs. This means that potentially an extra 120 – 500 calories per day can be eaten when the metabolic rate is faster. As per the review published in 2009 in Transactions of the American Clinical and Climatological Association. 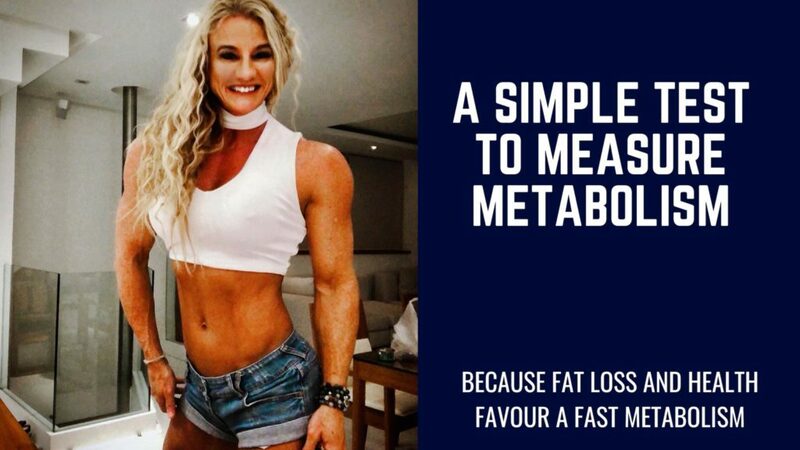 Consistent fat loss or optimal health will never be achieved without a healthy metabolism. TRACKING TEMPERATURES IS AN EXTREMELY USEFUL TOOL FOR UNDERSTANDING METABOLIC RATE. It is quite common to see temperatures increase as thyroid gland functioning increases when using a Pro-Metabolic nutrition plan. Pro-Metabolic nutrition also has a positive influence on hormones as cortisol decreases and estrogen stablises. Fat loss favours a hormonally balanced environment. Other environmental factors such as sleep, light, illness and stress can all have an impact upon metabolic rate. Pro-Metabolic Nutrition plans have a unique combination of pro-thyroid gland food which will help increase thyroid gland functioning, fat burning and overall health. Make sure to use a thermometer as a measuring tool so that temperatures can be measured along with results. The unique combinations of food In these Pro-Metabolic meal plan programs have been based upon the research of leading endocrinologists, Dr Peat and associates, to help increase thyroid functioning, reduce cortisol and balance estrogen – essential hormonal factors for weight management, muscle gain and optimal health.